The popularity of eSports has skyrocketed in the past ten years, to the point where the gaming manufacturers are actively creating titles with the eSports competitions at the forefront of their minds. 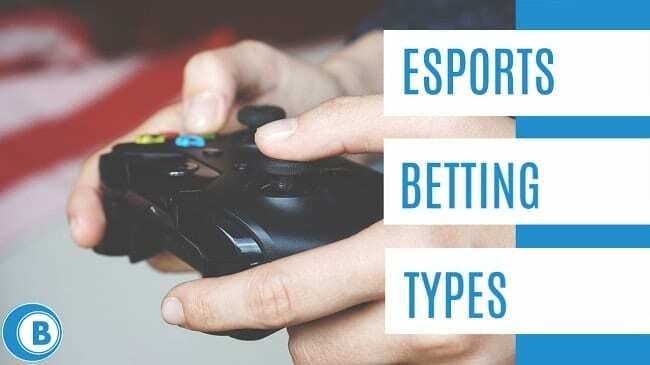 The gambling industry have been just as prudent, and there are now a multitude of eSports bet types you place based on your favourite subculture. eSports bet types are not all that different from traditional forms of placing sports bets. Just like in an actual sports event, you are able to place bets on numerous aspects of an event, you could bet as the event is happening, and you can bet bet online with Betfair eSports or at a traditional physical bookmakers. The odds are worked out in the same way, there are favourites in certain esports events, there are superstars of their chosen fields, and the amount of money to be made is substantial. 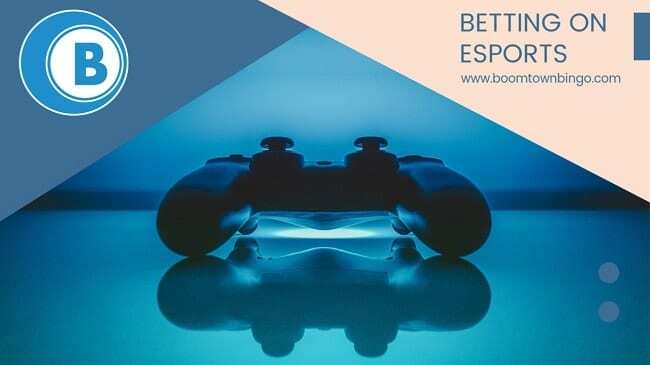 With eSports betting you might study the form of participants, choose what aspect of an event you want to bet on, and, most importantly, you might get that same adrenaline rush from placing bets on something you love. 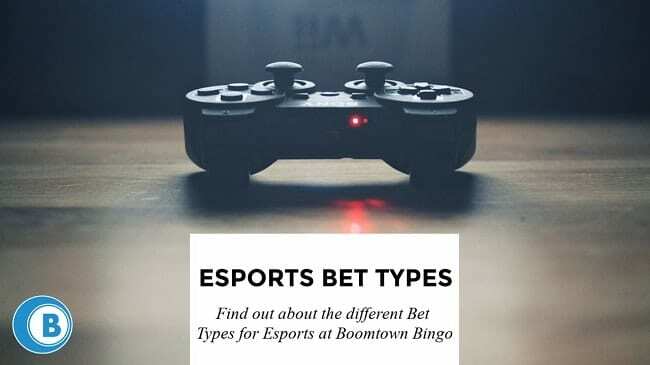 Read on for more information on the different eSports bet types you place. Money line betting is one of the most popular ways to bet in any form of gambling. It’s straightforward, the odds are easier to understand, and you can base your bet and the finish of a match on previous performances. Put simply, eSports money line betting is where you bet on who the winner will be of a chosen match. You can put bets on team efforts, individual matches, accumulators, knockout matches, pretty much every combination you can think of relating to the outcome of a match or series of matches. eSports moneyline betting is also a great way to start if you’ve never bet on an eSports event before as it keeps things simple. Much like a ‘real world’ sporting event, you may have a team or individual that you follow and bet on. You might even have a friendly rivalry going with friends and want to bet on an outcome of a match between your respective favourites. If you like placing bets on football, have a look at some of our football betting offers. Moneyline betting on video games has an audience of hundreds of millions, so when you place a money line bet on the outcome of a game, you’re in good (and huge!) company. If you want something a little bit more challenging than just selecting the right winner then you could always try your hand at handicap betting. This is usually most commonplace where one participant is seen to be a potential runaway winner, and consequently, the odds that they are given to win will be very low. To spice things up a little, you could always try to predict how much you think they will win by. This is what is known as handicap betting. Handicap betting not only improves the odds you are given, but it also packs that extra punch of excitement. Because the outcome is less certain, the thrill is greater, and a winning handicap bet will boost your prize money substantially too. You can also get some esports betting tips from our team too, so make sure you check them out. This is also known as over under betting. The beauty of this type of betting is that the player that your bet doesn’t necessarily have to win their match/round/heat, they just have to reach the amount that you bet in order for your bet to pay off. So, if you bet that a player will make over 30 kills and they achieve 31 kills, you win. Even if 31 kills isn’t enough to win the game, you still win your bet. Prop bets are a fun part of any form of betting, but with eSports prop bets the fun really comes into its own. Just like when people bet how long the National Anthem will take to be sung before the Super Bowl, eSports has their own version of the wackier side of betting. With eSports prop bet types you could also bet more obscure aspects of a match, such as how long you think a match will last, or which team will be the first one to strike first. eSports prop bets just makes the whole experience that much more fun, and the bigger the event, the wackier the bets can become. Many people enjoy the ability to bet live during a sports event, and eSports was not to be outdone when it came to their show. eSports live betting allows you to turn up the tension by betting as the game is being played. Want to have a flutter on who you think will make the next kill? No problem. Does it look like the player that you bet on before the match might crumble? If so, should you cash your bet in mid-game and hope you made the right decision, or keep the faith and stick it out? The choice is yours! Live eSports betting is fast and furious. An outcome of a game can change in a nanosecond, and it’s up to you to decide how you think it will go. The odds on any aspect of a game may change during the match, which is why out of all the eSports bet types available, this is the most exciting one. One quick decision could mean you’re either quid’s in or out for the count; the thrill of a chase and the blink-and-you’ll-miss-it chance to make a mint. Follow the match closely, follow the live odds even closer, and be prepared for an incredibly exciting game.